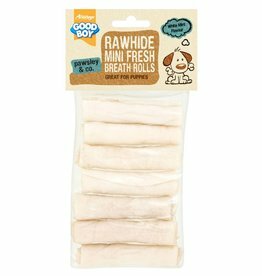 Dog chews made from rawhide. 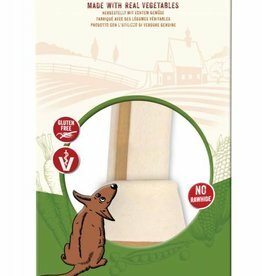 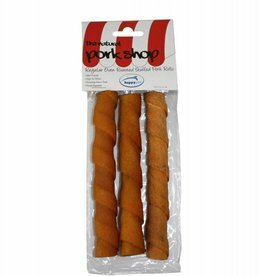 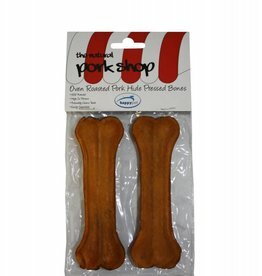 SmartBones are a new style dog chew with all the benefits of a rawhide chew...just without the rawhide! 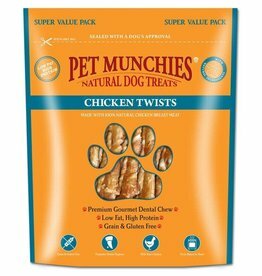 8in1 Delights are a unique, mix of dental product, jaw workout and great taste. 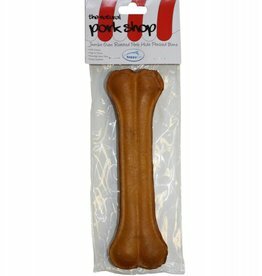 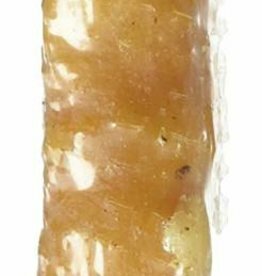 With lots of good-quality chicken wrapped in tough premium rawhide, 8in1 Delights guarantee hours of chewing pleasure with no leftovers. 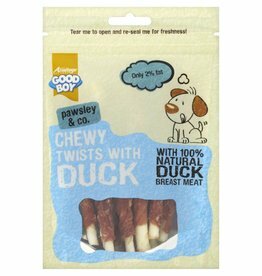 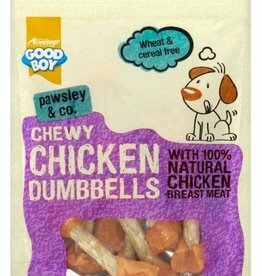 Good Boy Pawsley Chewy Chicken Dumbbells 100grm pack. 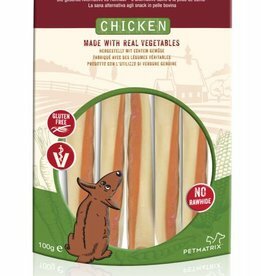 Made with 100% natural chicken breast meat, contain no artificial nasty colours or flavours, and are cereal free. 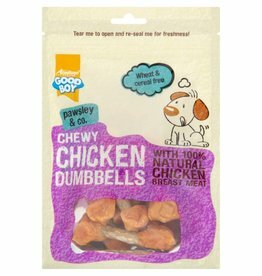 Chewy Chicken Dumbbells are made with 100% natural chicken breast meat, contain no artificial nasties colours or flavours, and are cereal free. 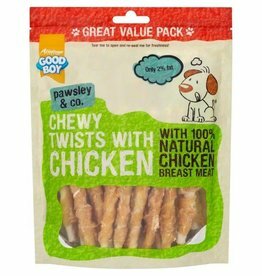 Good Boy Pawsley Chewy Twists with Chicken 320g Great value pack. 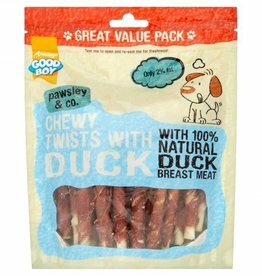 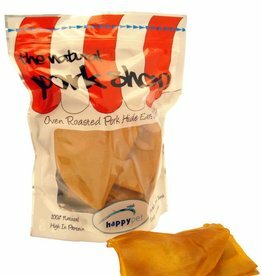 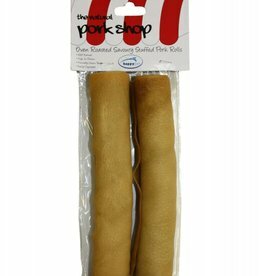 Made with natural duck breast meat, making them a great choice for pets that may have tummy or skin sensitivities to other ingredients. 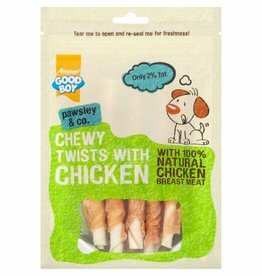 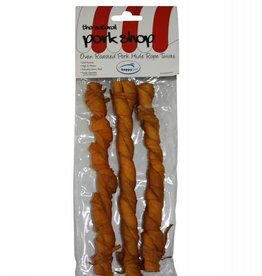 Good Boy Pawsley Chewy Twists with Chicken 90g pack. 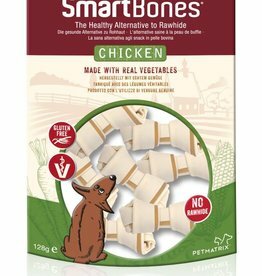 Made with 100% natural chicken breast meat, contain no artificial nasties colours or flavours, and are cereal free. 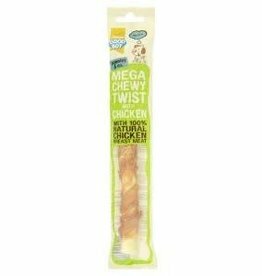 Good Boy Pawsley Mega Chewy Twist with Chicken 70g.